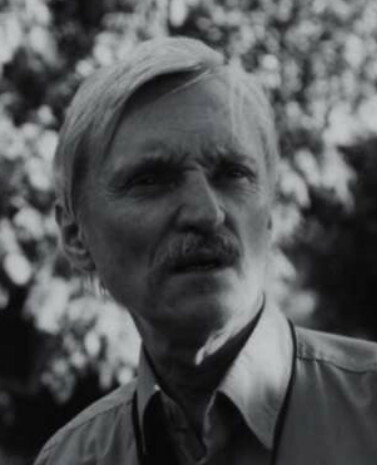 Hrabovsky, Leonid [Грабовський, Леонід; Hrabovs'kyj], b 28 January 1935 in Kyiv. Composer. Having lost his father (a violinist with the orchestra of the Kyiv Theater of Opera and Ballet) during Stalinist terror, Hrabovsky grew up in Kursk oblast in the Russian SFSR. 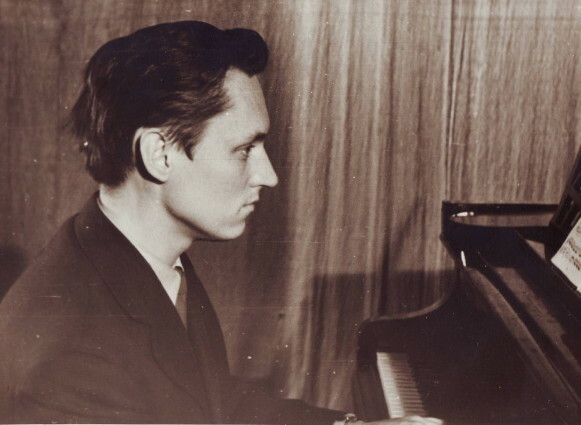 He returned to Kyiv after the Second World War and studied composition first under Lev Revutsky and then under Borys Liatoshynsky at the Kyiv Conservatory (1954–59). He later taught at the conservatory in 1961–3 and 1966–8. Hrabovsky’s compositional debut, Four Ukrainian Folk Songs for mixed chorus and symphony orchestra (1959), were awarded first prize at an all-Union music competition in 1962 and won high praise from Dimitri Shostakovich. Not interested in working within the officially sanctioned Soviet style of socialist realism, Hrabovsky became fascinated with modernist compositional techniques that were proscribed in the USSR. Initially composing in the dodecaphonist technique, he quickly established a reputation as a innovative composer, associated with the so-called ‘Kyiv Avant-Garde’ which also included composers Valentyn Sylvestrov, Vitalii Godziatsky, Volodymyr Zahortsev, and Volodymyr Huba. An avid student of classical and modernist theories of composition, Hrabovsky translated several Western music theory textbooks into Russian. As opposed to his colleague, Sylvestrov, who worked with avant-garde techniques, but retained a characteristically lyrical expression, Hrabovsky became interested in serial music and composition methods based on mathematical algorithms. The most accomplished composition in this technique was his Concerto misterioso (1977), based on the melodic structures of Ukrainian folk songs and dedicated to the memory of the folk painter Kateryna Bilokur. Other important compositions in this vein was a cycle of piano compositions Homeomorphias nos. 1 through 3, Homeomorphia no. 4 for symphony orchestra, and Für Elise for piano. His other works composed in the 1960s and 1970s included Symphonic Frescoes for orchestra (1961); The Sea for commentator, chorus, organ, and orchestra (1970); a trio for piano, violin, and bass (1964); Ornaments for oboe, harp, and viola (1969); as well as numerous pieces for voice with chamber ensembles, for piano, violin, oboe, organ, and other instruments. Hrabovsky’s music was harshly criticized in the Soviet press in the 1960s and 1970s and his works were hardly ever performed in Ukraine. He made a living by composing music to films produced at the Kyiv Artistic Film Studio, such as the early films of Yurii Illienko. Eventually, Hrabovsky was forced to leave Kyiv for Moscow and in 1990 he emigrated to the United States. Among the most notable works composed by Hrabovsky in the United States are the cantata Temnere Mortem based on the Latin texts of Hryhorii Skovoroda (1991), Thus It Will Be (1993) to poetry of Mykola Vorobiov and Hlas 2 for bass clarinet solo (1994) dedicated to the memory of Dmitrii Shostakovich.